Liverpool are currently ninth on the table with 45 points in the 30 matches played by them, two points below Stoke and one point above Chelsea whereas S City are eight on the table with 47 points in the 32 games, two points above Liverpool and three points below Southampton. 10th April, 2016 at 20:30 (IST). Liverpool have played 30 games till now in the league, two games less than the normal side as they were involved in Capitol One Cup and Europa League and now they have eight games remaining from which they have get most of their points if they want a good finish to their season, they have won 12 games, drew nine and lost nine in the 30 games played till now, scoring 46 goals and conceding 41. In their last five games they have won three, drew one and lost one, they won against Aston Villa by 0-6 away, against Manchester City by 3-0 at home and against Crystal Palace by 1-2 away, drew against Tottenham by 1-1 and lost to Southampton by 3-2 away. They played out a draw against Tottenham in their previous game in the league as Coutinho’s 51st minute goal was cancelled out by Harry Kane in the 63rd minute. 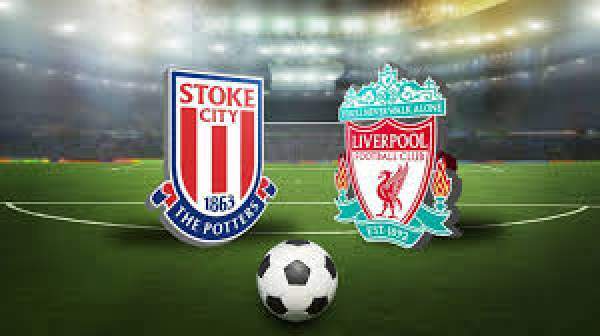 Stoke have also been good this season but they can do much better, they have played 32 games till now out of which 13 they have won, they draw eight and lost 11, scoring 36 and conceding 39. They have won two, lost one and drew two in their last five games in the league, they won against Newcastle United by 1-0 at home, lost to Southampton by 1-2 at home and won against Watford by 1-2 away, drew against Chelsea by 1-1 away and against Swansea City by 2-2 at home. Mignolet, Clyne, Lovren, Sakho, Moreno, Henderson, Can, Milner, Lallana, Coutinho, Sturridge. Haugaard, Bardsley, Cameron, Wollschied, Pieters, Whelan, Imbula, Afellay, Bojan, Arnautovic, Joselu. Both the teams need a win and will go for it. You can watch it live on Star Sports network.